President Obama knows that when women do better, America does better. That's why he kept his promise to fight for equal pay for an equal work and affordable health care—and won. 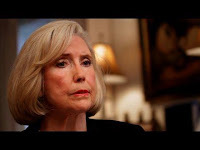 No one knows that better than Lilly Ledbetter. 09:43 WHY CAN'T WE GO BACK TO THE 50'S, WHEN MOMMA STAYED HOME WITH THE KIDS AND DADDY HAD A GOOD ENOUGH JOB. MAYBE WE NEED TO GET ALL THE GOVERNMENT OUT OF OUR LIFE! You cannot make a racehorse out of a jackass. "Equal" pay is a race to the bottom.